We invite you to visit College of the Ozarks! When you come on a College of the Ozarks visit, you will see what The Wall Street Journal described as "one of the most unusual little liberal arts colleges in the country." College of the Ozarks, founded in 1906, charges its students no tuition. Every full-time student works at a campus job to help defray his or her expenses. 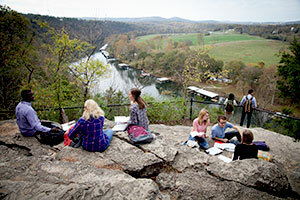 The College of the Ozarks has a variety of unique experiences to offer to anyone visiting the Ozarks region. 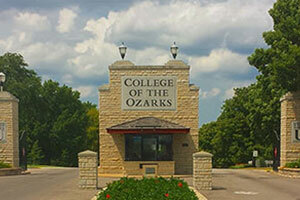 Located near the tourist destination of Branson, Missouri, College of the Ozarks warmly welcomes all visitors to enjoy our beautiful campus. The Keeter Center at College of the Ozarks is the College’s award-winning lodge, restaurant, and conference facility. Fifteen beautifully decorated suites await you overlooking the tranquil College of the Ozarks campus. Come enjoy a casual lunch or an intimate dinner for two in Dobyns Dining Room offering something for every taste. Also, visit the College Creamery and enjoy student-made ice cream made with the College of the Ozark’s fresh dairy cream. Under the expanse of 95,000 square feet, one can find everything from intimate, elegantly-appointed meeting rooms to state-of-the-art conference facilities, all complemented by on-site four-star accommodations and exquisite fine dining. 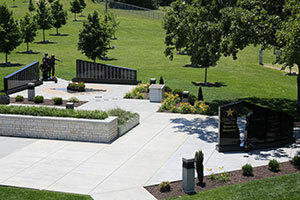 Patriots Park sits near the entrance of campus and contains The Missouri Vietnam Veterans Memorial which honors the 1,410 servicemen and women from Missouri who gave their lives during the Vietnam War. 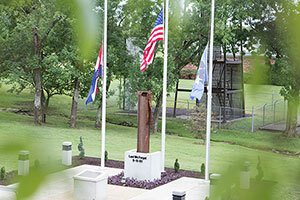 Built and designed by students, this memorial serves as Missouri’s official Vietnam memorial. The black granite walls are divided – reflecting the division of America. The statue in the middle represents the servicemen and women who stood in the gap and did what their nation asked of them. The red, flower-filled ‘V’ stands for valor and represents the blood that was shed during the war. The Missouri Gold Star Families Memorial, which honors Gold Star Families (those who have lost immediate family members killed in their service to the country), preserves the memory of the fallen, and stands as a stark reminder that freedom is not free. The memorials are open daily until 10pm. For information, please contact the Public Relations office at 417-690-2212. Fruitcake & Jelly Kitchen has produced its famous fruitcakes on campus since 1934, and today student workers, along with supervisors, bake more than 25,000 cakes a year. Visitors are welcome in the kitchen where a variety of jellies and the College's delicious apple butter are made and sold. 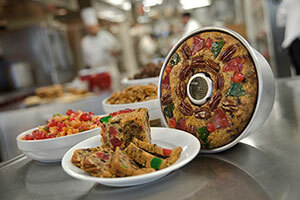 Visitors may also enjoy free samples of the College's famous fruitcake. The Kitchen is open for public tours from 9 a.m. to 5 p.m., Monday through Saturday. Edwards Mill, built with funds provided by the late Mr. and Mrs. Hubert C. Edwards, is powered by a twelve-foot water wheel turned by runoff water from nearby Lake Honor. Student workers grind whole-grain meal and flour, available for purchase inside the building. Upstairs is a weaving studio, where students design and produce rugs, shawls, placemats and other items on traditional looms, and students hand-weave baskets. 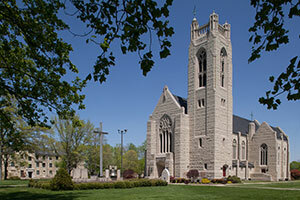 Williams Memorial Chapel is an outstanding example of neo-Gothic architecture. The structure, dedicated in 1956, measures 150 feet long and 80 feet wide, with an 80-foot-high vaulted ceiling and impressive stained glass windows. Attached to the chapel is the Hyer Bell Tower. Sunday services beginning at 11 a.m. are open to the public. 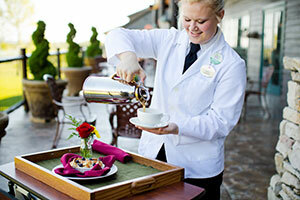 Point Lookout offers panoramic views of the Ozark hills, Branson 76 highway, and the beautiful Lake Taneycomo. Located just a short walk from the Willams Memorial Chapel and Ralph Foster Museum, this is a tranquil and breathtaking must-see during your College of the Ozarks visit. The Ralph Foster Museum is dedicated to the history of the Ozarks region. 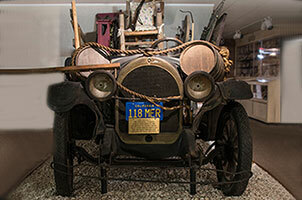 Named in honor of the late Ralph D. Foster, radio pioneer and philanthropist, the museum houses thousands of artifacts representing archaeology, history, firearms, antiques, numismatics, natural history, fine arts, geology and mineralogy. Hours are 9 a.m. to 4:30 p.m. Monday through Saturday. A small admission fee is charged; ages 18 and under are admitted free. Please visit The Ralph Foster Museum web site for more information. 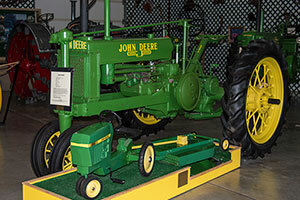 The Gaetz Tractor Museum features a variety of antique tractors and farm equipment. 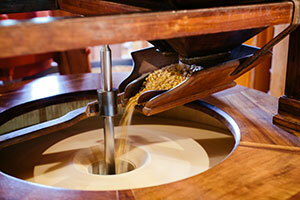 Noteworthy items include a gray Wallis from 1918 and a reaper produced in 1910. Hours are 9 a.m. to 5 p.m. Monday through Saturday. The Lest We Forget 9/11 Memorial features a World Trade Center column which stands as a memorial to the 2,996 lives lost on September 11, 2001. Known as "St. Michael's 37" (in honor of 37 Port Authority officers killed), the column and flanges resemble the body and wings of an angel. It now stands as a memorial to those whose lives were lost in New York City, the Pentagon, and the fields of Pennsylvania. The Hoge Greenhouses, located east of Edwards Mill, are home to the Clint McDade orchid collection. Mr. McDade, one of the School's first students, donated the nucleus of the collection, which today numbers more than 7,000 plants. 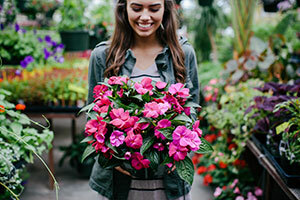 Individual orchids and other houseplants are for sale at the greenhouse. 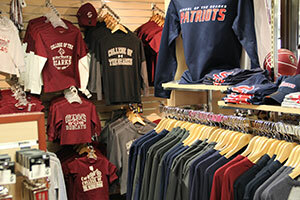 The College of the Ozarks Bookstore offers College of the Ozarks and Hard Work U. logo items that can be purchased to show your support for College of the Ozarks.